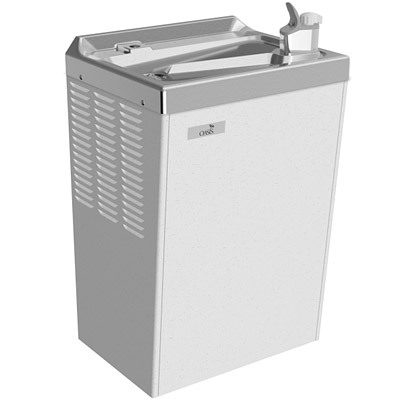 The Oasis P8M Water Cooler delivers 8 gph of chilled drinking water. Cabinet finish shall be Sandstone powder coat paint on galvanized steel or brushed stainless steel. Cooling system shall use R-134a refrigerant. Shall be listed by Underwriters’ Laboratories to U.S. and Canadian standards and conform to European Union Directives. Received the water cooler and installed. Perfect fit as a replacement for the 25 year plus machine that finally failed. Look forward to many years of service from it. Thanks.